Whilst I've always quite liked the aesthetic qualities of Japanese anime, I must confess I've always found the plots to be nigh-on incomprehensible (based as many are on Japanese cultural tropes which have no analogue in the West), and the ones that seemed to be understandable seemed to only last a few episodes before being canned (the excellent Cyber City Odeo 808 being a perfect example of a great show with tremendously interesting characters, yet it lasted a mere three episodes). Having said all of that, my exposure to anime in recent years has been extremely limited and these older generalizations may not hold true. An interesting and apparently successful approach has been to combine Western storytelling with the anime style of art to produce something of a hybrid programme. Robotech began this trend back in the early 1980s, with Carl Macek crafting an original story (albeit one heavily derived from Macross, one of the three contributing Japanese TV shows) to fuse three different Japanese shows into one continuity. A few years later, French writers and Japanese animators combined to create The Mysterious Cities of Gold and Ulysses 31, both notable for being limited series with definitive endings with much more adult themes than is usually encountered in animation primarily aimed at children. The latest such effort is Avatar: The Last Airbender, a Nickelodeon production currently in its third season hiatus in the USA. Avatar is set in a heavily Japanese-inspired world which is divided into four forms of magic: Earth, Air, Fire and Water. Manipulation of each form of magic is known as bending. Over the centuries, each form of magic has attracted its own followers, and a powerful nation or tribe has arisen based around each element: the two Water Tribes live at the opposing poles of the planet, the Fire Nation occupies a huge volcanic archipelago, the Earth Kingdom dominates the largest continent and the various Air Tribes (at least three of which used to exist) occupy remote mountain chains. The four peoples lived in harmony under the protective guidance of the Buddha-like Avatar (who could combine the four elements and thus kept the tribes in balance) until, a century prior to the series beginning, he vanished without a trace. Without a check on their ambition, the Fire Nation launched a war of aggression against the other peoples, quickly overrunning and apparently destroying the Air Tribes, but then becoming bogged down in a lengthy war against the Earth Kingdom. Avatar opens with two youngsters from the Southern Water Tribe, Katara and her brother Sokka, discovering the Avatar trapped in a magical block of ice. The Avatar is a 12-year-old boy named Aang, an Airbender who doesn't know anything about the war or the events that have transpired in his absence. His only companion is Appa, his magical flying bison, but Aang rapidly finds himself the target of Zuko, an exiled Fire Nation prince who is determined to capture Aang to restore his honour and prestige at the Fire Lord's court. With the Southern Water Tribe in danger due to Aang's presence, Aang decides to journey to the North Pole to learn waterbending from the more powerful Northern Water Tribe. Katara, a novice Waterbender herself, and Sokka agree to accompany him. Avatar is a single, large story which is divided into three 'books' or seasons, with each episode a chapter of that book. Book I is named Water, as the focus is on Aang's journey to the Northern Water Tribe and what happens when he gets there. Along the way he and his companions have many adventures, including repeated run-ins with Zuko (whose backstory becomes more complex and intriguing with every appearance) and Zuko's rival, Admiral Zhao, who is determined to capture the Avatar for his own purposes. We also learn about the ongoing war on the Earth Kingdom's continent, although somewhat disappointingly we never see the front lines. Aang also finds time to visit two of the Air Temples in an effort to understand his own growing power. Events culminate at the North Pole where Zhao launches a concerted effort to destroy the Northern Water Tribe. Avatar is, simply put, a tremendously enjoyable slice of television. It's definitely a kid's show (those looking for dark, gore-filled gritty anime best look elsewhere), but it never talks down to its audience and credits them with a fair bit of intelligence. The worldbuilding is impeccable, the stories are intelligent and logical and the writers clearly have the story mapped out ahead of time, resulting in tremendous coherence and continuity. These guys could teach the makers of Battlestar Galactica a lot. It's also quite funny and shows occasional homages to other forms of animation: one early episode featuring our heroes accidentally devastating part of a city with a mail cart even has a Wild E. Coyote-style freeze-frame shot so the audience can more thoroughly appreciate the destruction they unleash. In another sequence two prison guards report the appearance of a dangerous flying bison to the commandant (voiced by George 'Mr. Sulu' Takei), who delays acting on the news due to linguistic concerns over where the correct designation is 'flying bison' or 'flying buffalo'. The animation is also excellent, clearly inspired by Hayao Miyazaki (Appa, our heroes' mount, is a nod to the Catbus from My Neighobur Totoro) and is a step above practically every other US animated show in production today. I'm struggling to find some negatives here. The show is fast-paced and funny. It isn't preachy and never indulges in, "I learned something today..." moral lessons. It's simply a very good show, enjoyable by all no matter your age. 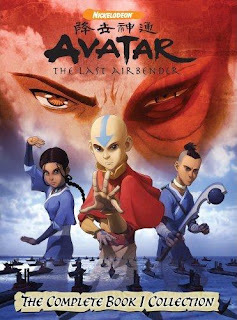 Avatar: The Last Airbender - Book 1: Water (****½) is available on DVD in the USA. Annoyingly, it isn't available in the UK yet, although Region 1 copies can be purchased from Amazon.co.uk. Season 3, which is the final season, is currently airing in the USA on the Nickelodeon. psssht! It's Zuko. No 'h'. Actually as long as I am picking the wording on your post, "Oriental" is now frequently considered to be a somewhat offensive word to use to refer to Asians and Asian culture (because it implies the center of the world is in the West - West continuing to be called that none withstanding). I'd advice changing "Oriental-inspired" to "Asian inspired". I must admit that I was a bit puzzled about your comment on the PC/UnPCness of 'Oriental'. It's pretty accepted in the UK to use 'Oriental' as a non-pejorative term for Mongolia, China, Korea and Japan, whilst 'Asian' refers explicitly to the Indian subcontinent, so 'Asian-inspired' doesn't work either. And I'll fix the spelling of Zuko. 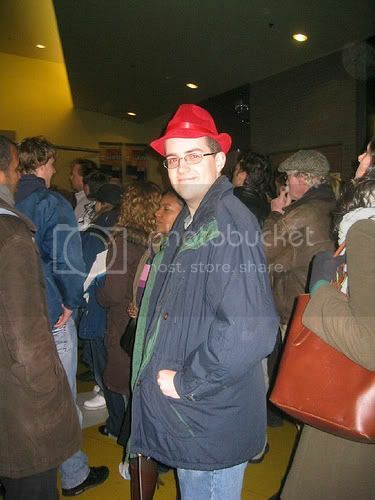 I encountered another character some years ago with the same name spelt that way. Avatar has both Chinese, Japanese and even the occasionnal Korean influence (that I know of), so Japanese influenced doesn't really work. Damnit. Far-Eastern-influenced doesn't really work either (I mean, where are 'West' or 'East' of? Since when did Kazakhstan become the centre of the world? ;-) ). I'll think of something. Avatar has both Chinese, Japanese and even the occasionnal Korean influence (that I know of), so Japanese influenced doesn't really work.would just say mainly Chinese-inspired since that is what it is. Everything from the intro, to the philosophy,music,martial arts screams Chinese.The latest such effort is Avatar: The Last Air bender, a Nickelodeon production currently in its third season hiatus in the USA.